⚠️Check out more watches here here. 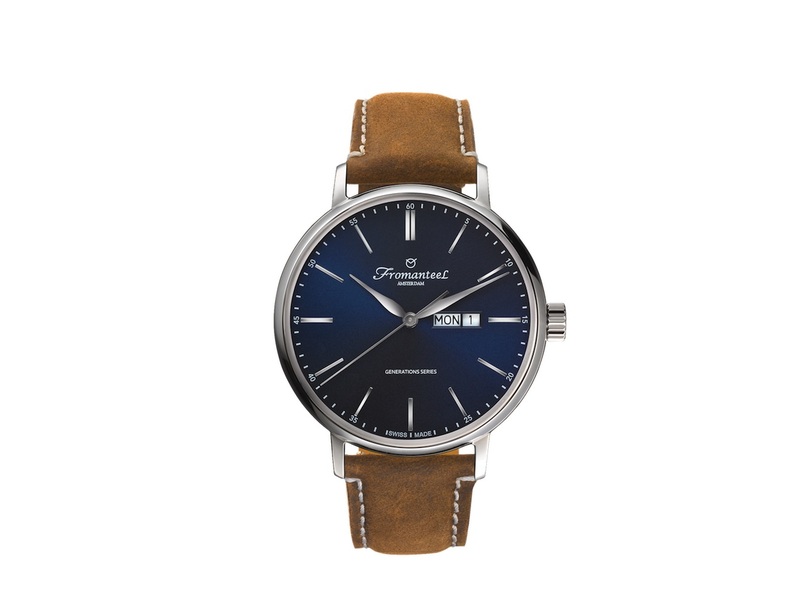 Be punctual and in style with the Day Date Watch by Fromanteel. 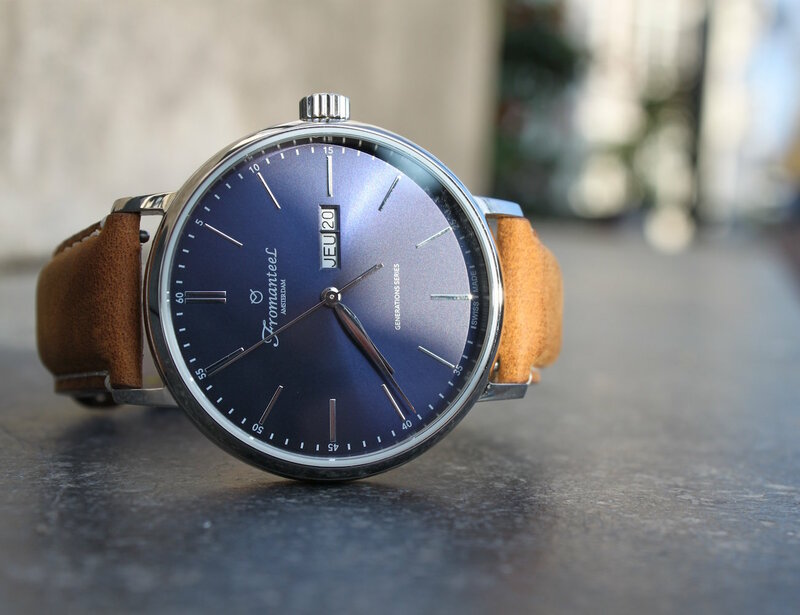 As a part of their Generations Series, this watch is reminiscent of the flat and elegant case style of the 1960s but maintains a modern and sleek look. Featuring a blue sunray dial, the watch is cased in polished stainless steel. 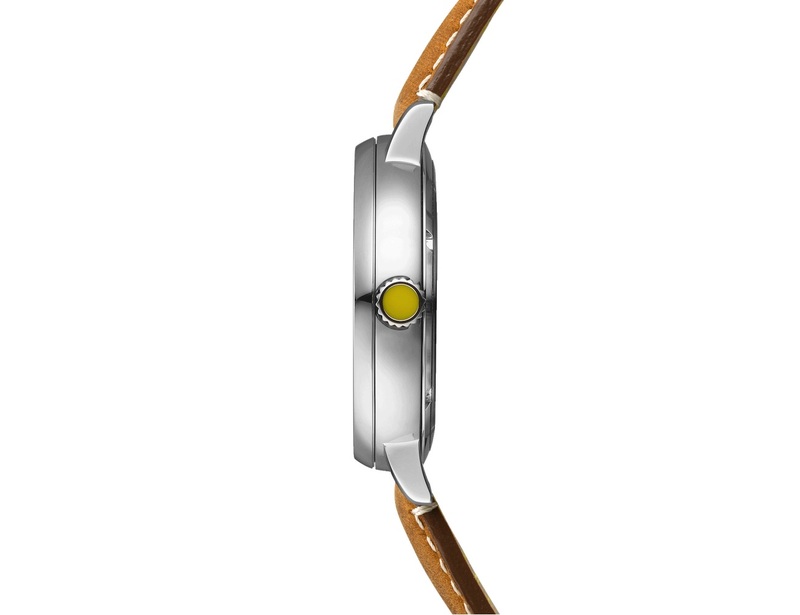 Complete with Swiss Ronda quartz movement and sapphire crystal glass, the Day Date Watch is strong and reliable for every day use. The watch showcases the traditional hours, minutes, and seconds in flawless design, but also features the date and day of the week adjacent to the 3 o’clock position. 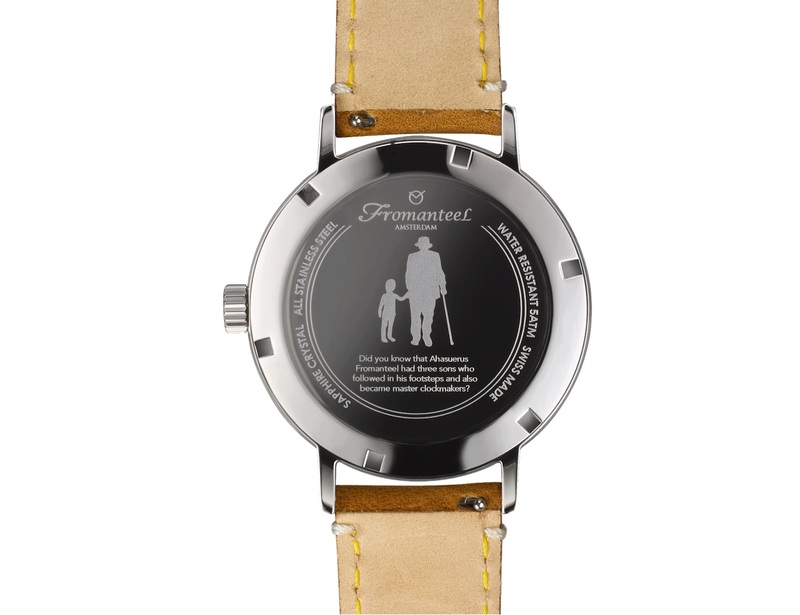 The understated beauty of the Generation Series Day Date Watch by Fromanteel makes this watch truly timeless.